Poison hemlock is a relatively common grassland plant, kills a number of horses, sheep and cattle each year and is extremely toxic to humans. All parts of the plant, commonly known as deadly hemlock, spotted hemlock, poison parsley, European hemlock, California fern and Nebraska fern, are poisonous. 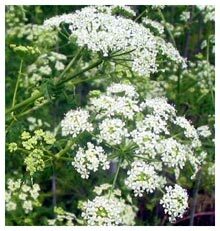 In the spring, until after poison hemlock flowers, the leaves are especially poisonous. Poison hemlock is often found along roadsides and creek beds. Humans are poisoned when they confuse poison hemlock roots with wild parsnips, or the seeds as anise seeds. The plant is so deadly that whistles made from the plant’s hollow stems have been known to kill children. Fortunately, the toxin is relatively neutral after the plant has cured, so poison hemlock accidentally baled into properly dried hay does not pose a problem. The horses pulse may be weak and he may appear cyanotic (bluish appearance of the mouth and gums), and he may be disoriented or unaware of his surroundings. In serious cases, death occurs within ten hours of the onset of symptoms due to respiratory paralysis. Less serious poisonings, which still may include periods of coma, can sometimes benefit from early use of stimulants and stomach tubing with mineral oil. 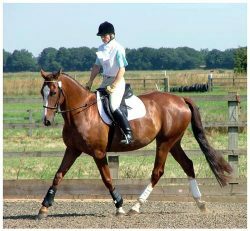 If respiratory shutdown can be avoided and the horse can pass any remaining ingested leaves, full recovery is possible without any long term ill effects. Thus increasing the augmentin 875 mg while breastfeeding possibility of premature bone fusion..